With the recent tap water crises in Flint, Michigan and Corpus Cristi, Texas, you can’t be blamed for worrying about what exactly is in your own tap water. While home filtering systems or after-market solutions such as Brita exist, many people still resort to drinking bottled water. 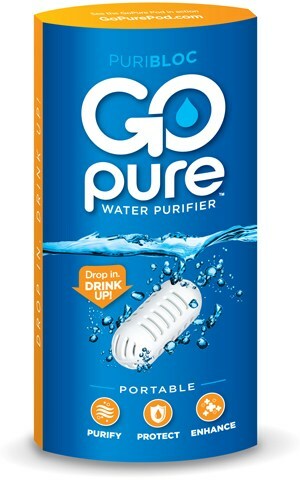 Making it easier for you to filter water and thus hopefully refrain from buying bottled water, Block Enterprises created the GoPure pod — a tiny device that drops into any drinking vessel to continuously improve the quality of the water.